Here are some spellkits I'd love to see Lucky Mojo come up with! The amount of oils are mind-blowing, but in comparison so few spell kits! Okay, that's all I can seem to think of... What about you people? I would like to see a Wealthy Way spell kit. I think a St. Expedite procrastination kit would be great ( i know there is a spell bottle...). Since i just purchased a weight loss mojo, a weight loss spell kit would be fabulous to work in conjunction with it. I would like to see a Marriage Blessing Spell Kit to entice a proposal of marriage and maintain a happy marriage and a triple mix kit of Crown of Success, Look Me Over and Steady work for performers that wish to ply their trade, get noticed, and gain a steady flow of clients willing to pay handsomely for their services. Those are two kits I'd like to see as options. Thanks for reading. nutmeg wrote: I think a St. Expedite procrastination kit would be great ( i know there is a spell bottle...). I would love to see a skull spell candle kit for love as well. So I was Halloween shopping yesterday and inspiration struck. I found some Margarita mix that came in a really awesome glass skull bottle and it really got me thinking. I ended up taking the skull home, emptying and washing it and naming it Putney. Anyway, I figure he'd be great for compelling spell kits. Like fill the skull up with a combo of the appropriate herbs and LM oils (and also water for "swishability"), baptize it as the person it's supposed to stand in for, keep it on your altar for however long you like and speak to it as though you are speaking to your intended target. Ex: "Judge John Doe, you will rule in my favor." Also symbolically feed it or leave a glass of wine to get it "drunk" and thus more willing to listen or favor to your cause. Then empty the water/oil/herb concoction in running water and clean it for the next time. I'll be trying out my own spell on Putney the Skull this weekend to see how it goes, very excited! I've looked online already and see several wholesalers who make smaller versions of my own bottle and I just thought that might be a good addition/spin on the skull candle and usual compelling and bend-over spells. Can I just say I love that you named him Putney? That's so funny. And what a great Idea. Cookie wrote: So I was Halloween shopping yesterday and inspiration struck. I found some Margarita mix that came in a really awesome glass skull bottle and it really got me thinking. I ended up taking the skull home, emptying and washing it and naming it Putney. Also symbolically feed it or leave a glass of wine to get it "drunk" and thus more willing to listen or favor to your cause. Alcohol is more traditionally used as an offering or payment (especially in graveyard work) rather than a confusing element. I'd use poppy seeds -- or, for love work, poppy flowers! I would like to see a Clarity or Tranquility Spell Kit. I think that would be helpful to many people. I was looking for a spell kit to control the weather so that I could stay out of the sunny, humid- hot weather. Please- if it is possible. Thank You. Really appreaciate it. a do you're chores kit for parents and grandparents :)and do you're homework kit,and you are evicted spell kit(I'm a apt manager)we get some real interesting tenants we give everyone breaks if they are late on there rent but some take are kindness for granted allot.and well i could go on for ever we could use more topics on powders and incents and a few more oils that are not listed. A spell kit for couples to move in together? Is there a Blockbuster spell kit yet? I was just looking for it but didn't see one. good evening everybody, it 11:00 pm in Toronto i was just wanting to express my need to just say how awesome ii think it would be if lucky mojo made a spell kit for master key, or even an african juju spell kit that would honestly be so great in my opinion i would also like to see the day that look me over gets its own spell kit or bewitching. but i definitely like the idea of master key or african juju spell kit or even mojo because in all honesty I'm completely lost on how to use those two products but i really want them at the same time. and i know the talented staff at lucky mojo could conjure a spell kit no problem. Any "trick gifts" spell kits would be neat too, kits that include materials needed and instructions to make gifts for lovers and enemies. Lastly, wouldnt it be cool to have kitchen hoodoo kits? 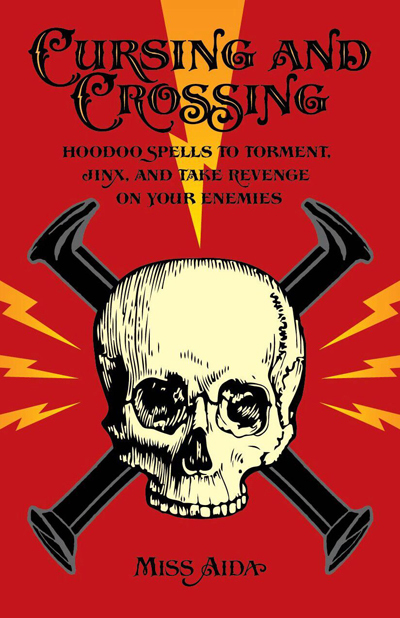 If possible, i know the women at missionary independant conduct a hoodoo cookoff, what if the best recipe got its own spell kit? Only containing the recipe , spell, candles, and herbs needed plus instructions, maybe a cool utensil idk. But i thought that might be neat, all the grocery stuff we would have to buy though, obv. Idk just some ideas I got while browsing this thread. and something like a "Heal Your Broken Heart" type of kit. You know, taking care of yourself after Cutting&Clearing, and before Road Opening. I've been winging it on my end with the help of the forum, but what a swell idea for a kit. A powerful kit for clearing your mind- and keeping it that way! Serious relief for frayed nerves and chronic stress. Perhaps it could come with herbal tea ingredients that promote relaxation. I'd very much like to see the Follow Me Girl spell kit become a thing. Pretty please. For now I'll see about getting separates. I would like to see a spell kit communicate with ancestors and to help keep from losing a house or apartment. some powder and incense would be good too for the home when you want privacy and to be left alone. Vipera, there's already a Law Stay Away kit. I think you just need to specify who you want to keep your business hidden from. Weight Loss Spell kit or maybe even a new weight loss line of oil/incense/sachet/bath/vigil. Have you tried Lucky Mojo's weight loss mojo hand? I would like to see a crazy in love (extreme obsession spell kit, follow me girl kit and eternal binding spell kit. i have read this and i agree with it. I would love to see spell kits and/or mojos that incorporate the Planetary line! For example, a Venus mojo for beauty, a Sun spell kit to make you shine in whatever area you choose, a Mars mojo for increasing power and prowess, etc. I also second what angelael suggested a few posts back (a Weight Loss line of products or a kit). How about Marriage spell kit and Look me over spell kit? You may want to contact the shop with this question. They *might* be able to just swap out the Follow Me Boy products for Follow Me Girl, but I'm not sure. Give them a call: 707-887-1521. In 25 years we have had exactly two requests for a Follow Me Girt kit. We can easily swap out the products, if you don't mind the instructions being written gender-reversed. I thought maybe this was the best place to post this after searching the forum.. I was wondering if the Hoodoo Jukebox/Conjure toolbox would ever be made available on a thumb drive? All my computers and laptops no longer have CD drives. I purchased an external one specifically for the purpose of being able to listen to the jukebox music! lol!